Out of all the topics I had, I chose Border security as the topic to debate over and for many reasons. It is the one with the most information I can use, and it is relevant to this day. The main reason the government is shut down is so that Trump can increase border security by putting up a wall. He is also sending, thousands of troops to patrol the area. Would it be “OK” if the troops patrolled the area without the wall? Anyway, I’m glad Mr. Burrell ,the school librarian, showed us how to make it easier to find information at a fast rate. With the one website he showed us, Issues and Controversies, I was able to quickly find articles about border security and the wall. There’s a whole debate about the construction of the U.S./Mexico border wall. Logically, I would say that building a wall would be a big benefit to U.S. security, border security in particular. Ethically, I would say, “Not building the wall would be like an arsonist is outside your house and you have the chance to quickly build a wall, but you don’t and your house catches on fire.” Emotionally, I would ask, “Would you feel safe if I told you approximately 50 illegal immigrants smuggle drugs and weapons each year? How long would it be until they run into you?” When I present this argument to the class, they should care, because this affects our lives. When it’s either now or then, it’s going to affect us. All I’m saying is would you fell safe when you’re protected or when your out in the open where you feel insecure. Finally, I think the topic I chose will be a good topic because it is relevant and there’s a lot of info to back it up. It was interesting trying to understand Franklin’s Virtues. Most of them were common sense, except for Chasity. It didn’t make sense at all. Anyway, In this experiment, I had to apply his virtues to my life and see how it goes. For one thing, I did pretty well with most of his virtues, Industry and resolution were the ones that I had the most trouble with. Other than that, it was pretty easy following his virtues. My partner for the Presentation, he was decent as well, but knowing him, he didn’t follow some virtues like Industry, Resolution, and one of the new virtues that we made. That one virtue that we made that he mistreated was taking things for granted. In today’s society we take a lot of things for granted, like our food, clean water, Shelter, freedom. Although they might be granted for each day, we still remember them and what it took to gain those things. Back to what we were talking about, Everyone in my class followed at least one virtue during this experiment. But I tried to follow every virtue that Franklin had up his sleeve, but in the end, I still managed to let one or two of his virtues slip out of my hands. Well lets face it, everybody is getting lazier every year. With that in affect, pretty soon it will be impossible to do any of his virtues. 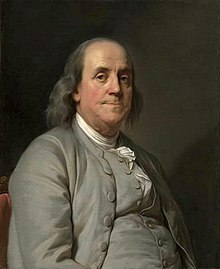 But we can overcome this, all that it takes is a little effort and once you start getting work done, you already have one of Franklin’s virtues done. And the virtue is resolution. 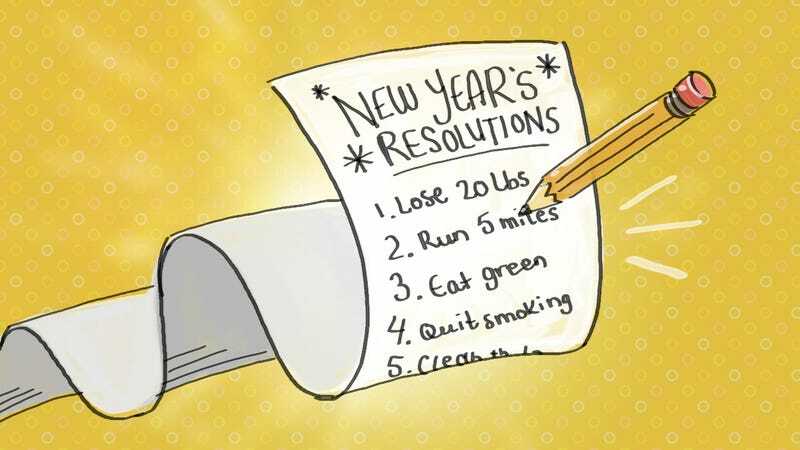 Resolution is when you have work to do and it is best if you get it done as soon as possible. Another way of saying it is, “Just do it.” Doing this experiment did not only change my way of seeing work, but it also changed the way of how life should be done. My school year so far has been decent so far. In the first quarter I got good grades. This quarter, It was rocky at first, but its starting to even out now. These next few months are going to be interesting. The fact is that it’s drama season, and it’s going to be busy. So I’m going to try my best to keep good grades while I do tech in drama. I don’t want to change anything in school, but I want to improve. I want to improve on time management. When I get homework I should get it done as soon as possible so I can spend the rest of my time doing my own stuff. Some things that might prevent me from doing this would be my phone, my 3ds, or my Xbox. But I will try my best to ignore that stuff to get my work done. The reason why I want to change this is because, I’ve had some close calls before, so i’m trying to change that. Also, during drama season I need to get my homework done. If I don’t, my grades would be bad and if I am ineligible to do the play, I’m going to be scared for life. That’s why I want to keep my good grades. I can do this by doing my homework in study hall or it’s the first thing I do when I get home. Other than that, I would improve on a lot of things, but there not school related things. For the rest of this year, I want to strive to do the best I can before my senior year of high school. Finally, that is my New year’s Resolution for school and what I want to improve for this year in school as well. After going through this chapter of literature, I still think poetry is pretty useless. It’s just a story, but you have to think about it more. Even while reading the story of Eldorado. Sure its easy to read, but it took a little bit to understand what the theme and purpose was for the story. In this story it’s not necessarily a lesson, but you find out what happens to the main characters. The interesting part was when I made my own story. Wait something interesting in poetry for once? Oh my god! Anyway, my poem was about a knight that took the most shortcuts possible to complete his quest. In the end, he didn’t get what he wanted and left the kingdom. The theme of my story was that there are no shortcuts in life. That was the hard part in making my poem, just to find a theme. The easy part on the other hand, was rhyming the lines. If I couldn’t figure out how to rhyme a certain word, I just search it on google. It’s 2018 people, It’s not that hard! But then, there was the peer review. That was an adventure of its own. I peer reviewed someone’s poem, who I won’t specify, and… it was a poem I hadn’t seen before. Back in my poem, the only thing I thought was a problem was how long my poem was. It’s two pages long and half of it were conversations. If I was able to make the story shorter, I would change it. Even thought this chapter is boring, I still had a lot of fun making my own poem. And I think other people liked making their poems too. Finally, the only thing I have to worry about in this chapter is this blog and the test. It was quite the adventure trying to improve my story. First mistake I made with my story, I had my dialogue all messed up. Once that was fixed, my story looked a lot better. I personally like my story, because it’s different. This is my first “Complete” story I have made. I also didn’t realize how many pages I made. This story is like 5 1/2 pages long. The first page just goes through the first day. The rest of the story is an investigation to find out what Rachael’s secret is. In the end, she tries to escape, but is finally caught. I think it’s an interesting story, one that I have never made before. One of the trickiest parts was trying to come up with a name. Originally the name of my story was going to be “Stitches for Witches”. Then I realized that name sounded like a rock and roll band, so I changed it to “Wicked”. 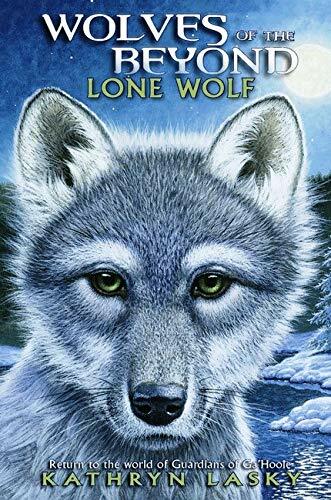 Now the story I am currently reading is “Lone Wolf”. It’s a story about how a wolf with a weird paw survives. This wolf is rejected from his own wolf pack because they wanted a “pure” blood line. So as “punishment”, they cast the wolf out into a raging river to die. But the young wolf survived and fends for himself in the frost-bitten forest. Even though he is lucky to survive in the raging river, he is afraid of the dangerous forest. He was alone and felt like a bigger predator was watching his every move. But luckily for him he made some friends. He became friends with a bear. I was shocked by this, because I thought the bear would just leave him, or eat him, but I guess that works. That’s how far in the story I am. This is between the first quarter and the middle of the story. Still a lot of reading ahead, but I want to see how it ends. My Story is about a guy named Logan McAdams and his girlfriend Rachael Smith. The story takes place in Boston, Massachusetts, during 1692. That’s when the witchcraft trials took place. In this story, Logan just left from the welder’s shop, and is coming home. As he entered the home, he hung up his belongings. He was about to grab wood from the shed for the welding shop the next day, but then he saw an odd looking stick in the wood pile, but he put it back as soon as Rachael came out of the house. 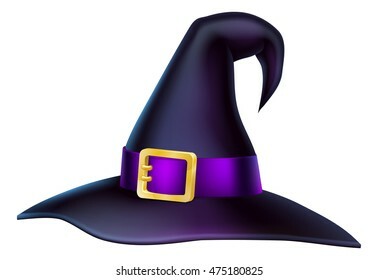 The next day he was grabbing his hat for work, but then he saw a weird hat in the very back, then Rachael said “Have a good day.” as she was slightly nudging him out the door. As Logan was working, he knew something wasn’t right. So he had to make a decision. but the path he chose he knew, there’s no turning back. He returned home with butterflies in his stomach. So then he saw that the coast was clear, he found Rachael’s diary, it read, “Logan is such a trust-worthy guy, I hope it stays that way if my secret stayed safe.” Then Logan’s curiosity spiked. As he turned the page he read, “At least he’s not like the other 5 chatterboxes that came my way”. As soon as he closed the book, “Well, Well, Well, just can’t get your hands out of other people’s business”. That’s all I have for the story but it will be finished. I chose this setting because My main plot was for a unstable, happy, but unstable couple to be brought to new levels. Since the punishment for being a “witch” was so severe, I wanted to make a character be on the verge of death, but survive. Then, later I thought, “How ironic would it be if Rachael was a witch instead of some grumpy woman”. And I love that idea, so I applied that idea to the story. I think with the changes I made to the story, this will be a great story. In the story of Tom Walker, I learned that his greed got the better of him by making a deal with the devil. This same type of greed is shown in our modern day society as well. For example, Enron’s CEO s Jeffery Skilling and Kenneth Lay were always hungry for more, so they made a risk and they purchased new companies, but then they went bankrupt. I think what someone in modern day society should understand from the story of Tom Walker, is to not only be greedy, but to not take risky deals as well. Speaking of modern day society, greed isn’t the only evil out there. There are in fact too many evils in society today, like drugs, alcohol, war, murder, and etc. But what I think is the most evil in this world is mother-nature. Sure it sounds funny at first, but if you think about it, Nature has been one of the most ways that people die, like hurricanes, tornadoes, floods, tsunamis, wildfires, and earthquakes. Another evil I chose was terrorism, because I can’t believe that some people put their time and energy terrorizing cities day after day. I first saw this when I saw the first few tapes from 9/11. When I learned that it was terrorist who caused it, I thought “Why… Why did they do that?”. After that it’s now Isis, but the U.S. is taking care of that. If evil had a physical form, I would imagine it as a phantom like figure that can be able to influence anyone to doing bad things. If it was able to make a sound, I would imagine it would at first sound like a TV malfunctioning, it would get louder and louder and louder until it stops. And then you will here a loud scream like if a person was possessed by a demon. That’s what evil would look and sound like to me. The story of Tom Walker and the Devil is very unique. I don’t think I have ever seen another story like this. 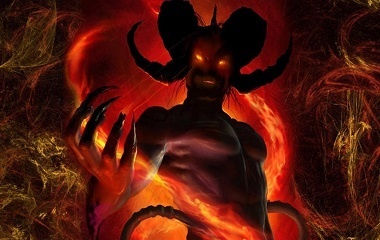 Yes I have heard of the phrase, “Don’t deal with the devil”, but this story took it to another level. At first you think Tom Walker’s life would but til the end, his debt to the Devil catches up to him. Tom Walker is then taken away from the Earth on a black horse into a “midst of a thunder cloud”, and he was never seen again. Obviously, the story doesn’t want us to make any risk deals with strangers that we barely know at first, but I think there is something else as well. I think the story is also telling not to jump to conclusions, because at first Tom thinks he is fine, later he finds himself in a situation. Now I know that lesson from watching Sherlock Holmes: A Game of Shadows. Even the minor details make the story more convincing, like the setting, and the way the characters act. One part that gave me the chills, was when Tom found his wife’s apron and found her heart and liver in the pocket. This I thought was a good tactic. It made the devil look more sinister and evil that way. Also, when Tom Walker is taken away by the horse into dark clouds, I thought of the Headless Horseman. I mean, both of the stories are made by Washington Irving. All in all, I think the story is perfectly fine just the way it is, nothing needs to be added or erased. It’s very convincing and tells the moral very well. It took “Don’t deal with the devil” to a whole new level. The story about Tom Walker and the Devil will always teach me to not make risky deals.